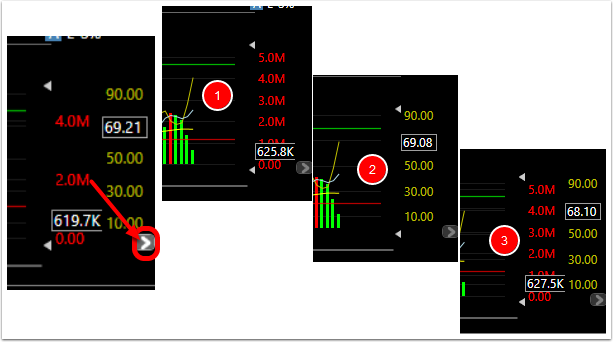 To save chart real estate, indicators can be plotted so they share the same space (pane). You can overlay unrelated indicators with their unique scaling. Indicators that share the same scale can be plotted and scaled together. Click on the Move arrow on the indicator you are wanting to overlay. Here is what it looks like with the Volume and Stochastics overlay with two different scales. You can toggle through scale views on overlaid indicators using the small arrow at the bottom right of the scale. Click it to show one scale. Click once to see the first indicator, twice to see the second indicator and three times to see both scales at once. 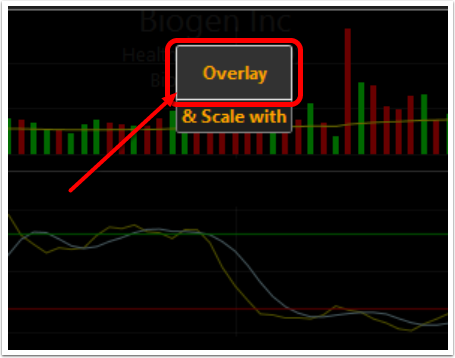 Click Overlay and Scale With on the button on the indicator or chart you want to add the first indicator to. 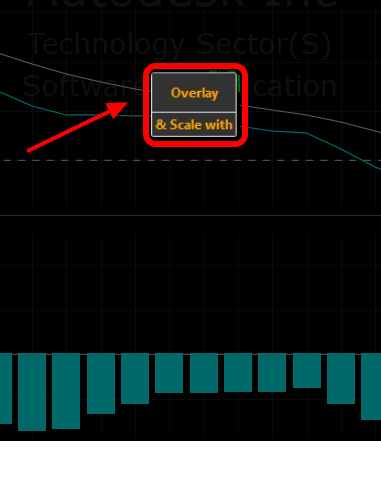 Here is what it looks like with the MACD and MACD Histogram overlay sharing the same scale.